March 15th - Featuring Buzzard Freebies! -- Celebrating the bird whose circling overhead signaled to cowboys of old a creature had met its demise. Turkey buzzards' heads are featherless and red, resembling wild turkeys. They have very good eyesight and soar through the sky on big updrafts. Considered Mother Nature's garbage collectors, they are also called carrion crows, scavengers who live on dead animals. 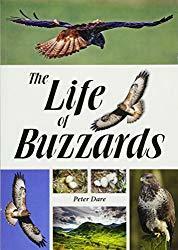 -- The accounts describe the life history and ecology of Buzzards mainly inhabiting the British uplands where historically they have always been most numerous. For the first time, population activities are followed through successive seasonal stages of their life cycle. These include the vital and inter-related aspects of Buzzard territories and social behaviour, diets and hunting methods, food requirements, prey abundance and breeding success, survival and life spans and how Buzzard numbers and distribution have changed, particularly in relation to the influence of Man. The book also demonstrates how well Buzzards have adapted to living in our modern and rapidly-changing landscapes, constantly adapting their habits in response to prey resources and environmental conditions. • Dead Vulture Decoy -- Covered in real feathers, its feet are designed with wires for attaching to metal tower or tree branches. Use the Dead Vulture Decoy to scare vultures and buzzards off towers and substations. Can also be used as a Halloween decoration or movie prop. 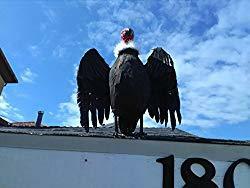 The vulture's should be positioned upside down to simulate death or agony, The Dead Vulture has been used by TVA, USDA Wildlife Services, Exxon/Mobile, Duke Energy, Cell Phone Tower companies, and many others to protect habitat and equipment from damages by Vultures and Turkey Buzzards. 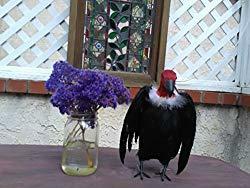 • BirdBusters Realistic Vulture Prop -- Life-life 9 inch Vulture with real feathers. Adjustable Metal Foot Wires for attaching to book shelves or branches, yard light . Attach the vulture to your shoulder or hang around your neck. Makes a great Halloween decoration or movie prop. 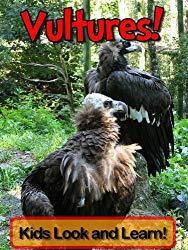 The vulture can be set up outside as part of your Halloween decorations or place inside for a fun Halloween party. - On this day in history, Julius Caesar was warned by soothsayers to beware of the Ides of March. Apparently, he did not heed the warning strongly enough as he was stabbed by Marcus Brutus on the Ides of March in 44 BC. - Between the delectable aroma and juicy taste, the only thing better than eating a pear is eating Pears Helene. Pears Helene is a delicious French dessert made with sliced pairs and various toppings such as cinnamon sugar, chocolate sauce, vanilla syrup, and ice cream. - Marcus Junius Brutus, a leading conspirator in the assassination of Julius Caesar, commits suicide after his defeat at the second battle of Philippi. Two years before, Brutus had joined Gaius Cassius Longinus in the plot against the Roman dictator Julius Caesar, believing he was striking a blow for the restoration of the Roman Republic. - Confessing is good for the soul. It can calm the mind and help heal the pain. So really get those tongues wagging at work today by telling all. No holding back. And if you are alone? There's always the mirror. - YOU ARE WRONG! Everything you think is wrong. Dead wrong. Your feelings and guts are golden, but those thoughts you are thinking right now? WRONG! Wrong. Wrong. It is so good to be wrong. Celebrate the splendid liberation from having to be right! You are wrong, scientists are wrong, and I am wrong too. - A day to be totally dumbstruck over the things you see, hear and read. You may easily be dumbstruck to read someone created this special day. Some people are dumbstruck on a regular basis, day in and day out. The events in their lives and the world around them are overwhelming. Fortunately, that's not you (we hope). - Consumers International (CI) has called upon the international community to ensure safe water and proper sanitation reaches all of the world's six billion consumers. The consumer movement first marked March 15th in 1983, and now uses this day every year to mobilise action on important issues and campaigns. 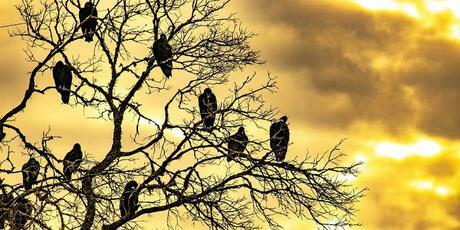 - The turkey vultures return to Hinkley, Ohio every March 15. Because of the popularity of these turkey vultures returning has become so wide-spread, creating a lot of tourists who come to watch them, Buzzard Day is observed, and March 15th is said to be its official day.